France is the place where the Anglo-French Hounds are the most popular and appreciated, while in any other place they are barely known. These dogs’ desire to please, ability as hunters and energetic nature are the characteristics that made people appreciate them so much. 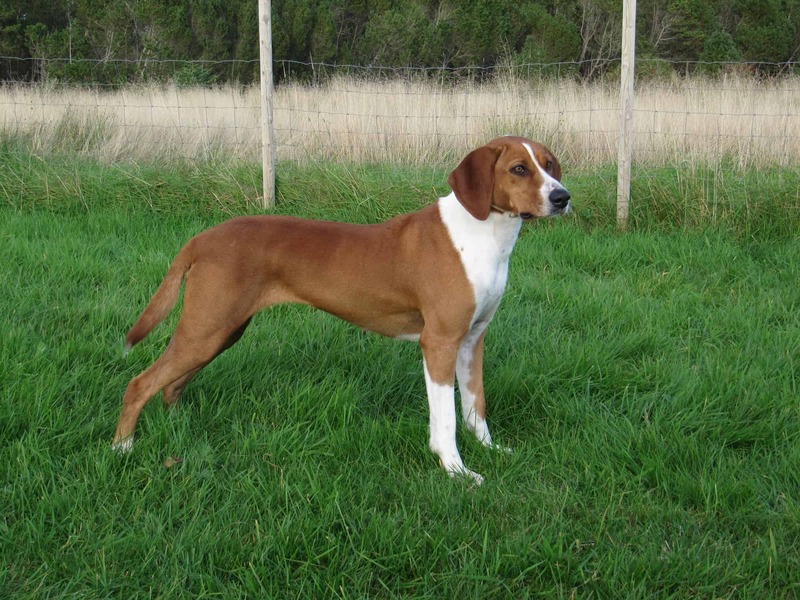 Similar to most other hunting breeds, the medium Anglo-French Hound is smart and very trainable. Versatile hunters, they are suitable mostly for the French hunting style. These energetic dogs have a very strong mouth and won’t hesitate to dive into the water. Speed, stamina, an excellent sense of smell and a full cry are the traits that, along their love for hunting made them excellent choices for their masters. 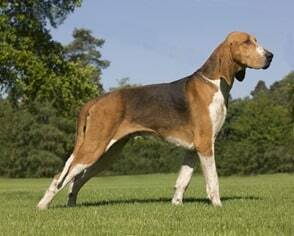 As adults, the weight of the Anglo-French Hounds can go up to 25 kilos and their height up to half a meter. Their coats are usually short and smooth and can bear either two or three colors at once. It does seem like their heads are slightly large when compared to the rest of their bodies. Their dark brown eyes are accompanied by both medium sized ears and muzzle. The noses can be black when the coat bears two colors and chocolate if three. The Medium Anglo-French Hounds have athletic, muscular bodies, with narrow chests, level backs and well sprung ribs. All four legs end in fox-like, full and hard pads. Their bodies end with a tail of medium length which is carried with a curve, giving the dog a cheerful aura. These dogs are swift and have excellent developed senses. 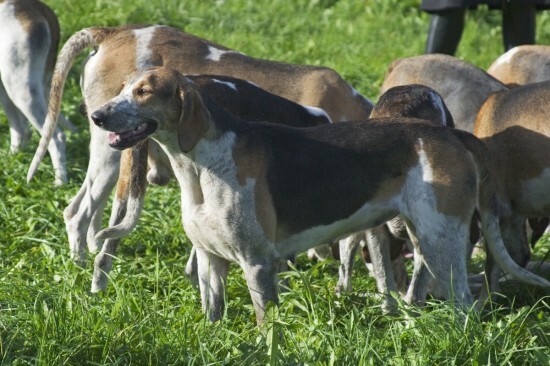 Their popularity in France made the Anglo-French Hounds to cover about 75% of all the hunting breeds in this country. Their hunting talent, good speed and stamina make them be very appreciated, but also the fact that they enjoy a variety of sizes and colors. 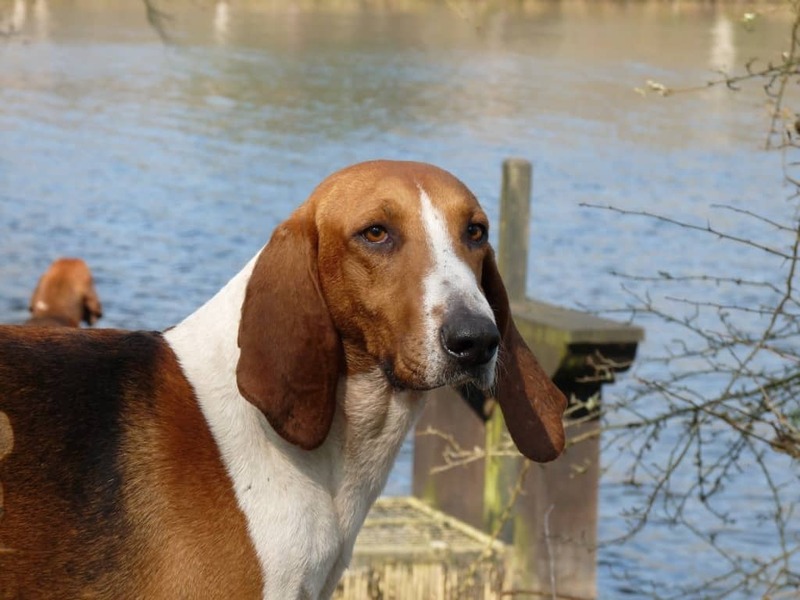 At the roots of this breed is the mix between some French hounds such as the Tricolores or the Poitevins and the English Fox Hounds. Mixing breeds is still happening nowadays in order to improve some aspects such as health or looks. 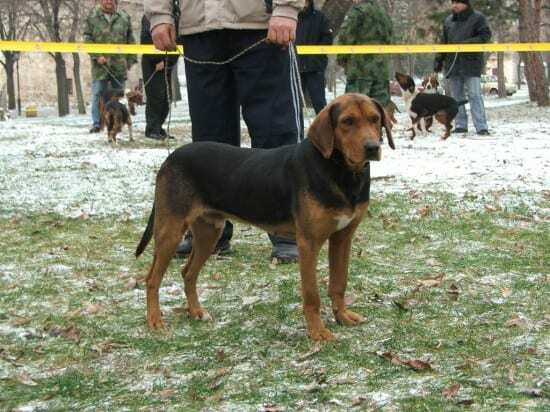 This breed is marked in the records of the Hunting Society. With regards to care, the Medium Anglo-French Hound is not very different from any other Scent Hound. This dog is most suitable for the French techniques of hunting. When participating to shows, some characteristics may disqualify the dog, such as the too rounded skull, a shorter or longer head than normal and some other details of the muzzle, nose and body that seem out of the standard. There is a motto that should be carefully considered during the breeding process of the Medium Anglo-French Hound and it states that ‘infusion doesn’t mean profusion’. This points out that the mixing of genes is allowed and sometimes recommended, but the base character of the dog is not to be altered.